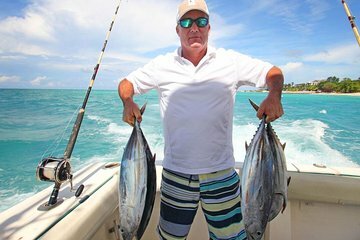 Punta Cana’s deep sea fishing is legendary and on this tour, you can experience it for yourself. No prior fishing experience is required—your trusty guides will show you everything you need to know. If you’re already a skilled angler, all the better. Depending on the season, you could catch wahoo, sailfish, dorado, mahi-mahi, snapper, and maybe even blue or white marlin.